Ethics Office Rejects Wilbur Ross' Financial Disclosure - Joe.My.God. The head of the Office of Government Ethics has refused to approve Commerce Secretary Wilbur Ross’s 2018 financial disclosure report, citing an inaccuracy concerning the former investing mogul’s holdings of BankUnited stock. 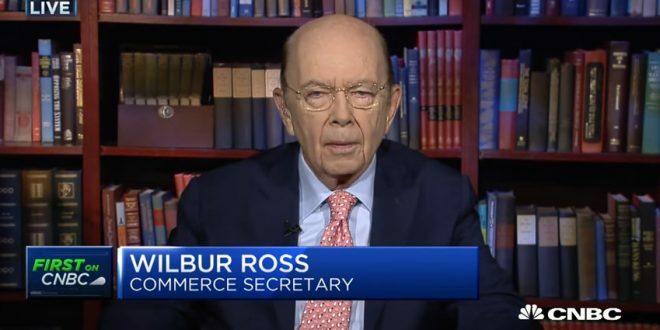 The action is the latest blow for Ross, who has repeatedly drawn scrutiny over his personal finances since he was nominated for the Commerce job. He is scheduled to testify next month before a House committee. “OGE is declining to certify Secretary Ross’s 2018 financial disclosure report because that report was not accurate and he was not in compliance with his ethics agreement at the time of the report,” Emory Rounds, the OGE director, said in a Feb. 15 letter.